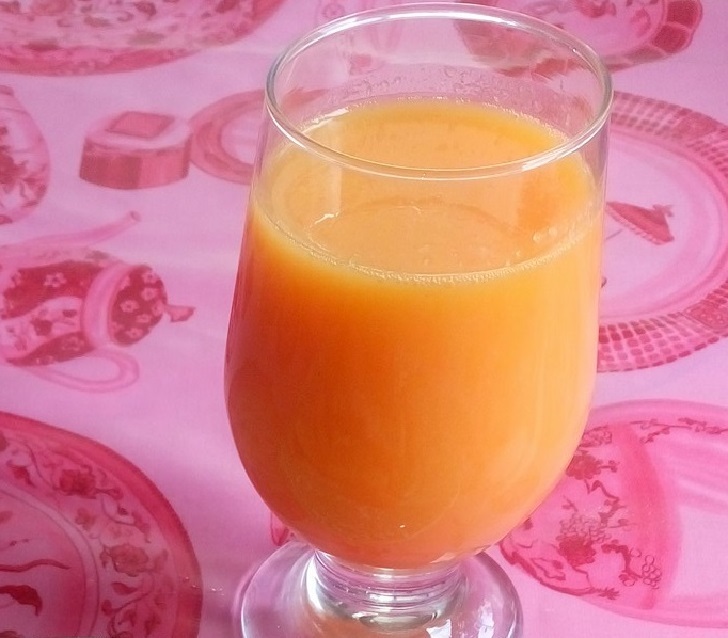 Fresh and frosty banana orange juice is very easy to prepare at home. Make this juice today to get relief from the scorching heat of hot summer and experience its thirst quenching and palate satisfying capabilities. Peel the bananas, break them into pieces and place in a blender or food processor. Add a little orange juice -- ¹/₂ about a cup should be sufficient -- and process on high speed until the bananas are a smooth puree. (Note: If you're using frozen bananas, you may need to add slightly more juice to be sure that they process to a puree.) Processing the bananas like this before adding all the juice will help ensure that all the fruit is fully blended with no unwanted chunks. Add the remaining juice (and sugar, if using) and process on high speed until smooth and well-blended. If you'd like to add ice, which we often do in the summer months, add it to the blender and process on high speed until the ice is crushed and blended with the juice. The juice is best served immediately; pour into glasses and serve. If refrigerating the juice for later use, shake or stir before serving. Know that the banana orange juice may darken in color over time. Try to consume the juice within 24 hours or you may find that the flavor of the bananas becomes unpleasantly pungent.